All Forest Lakes homes currently listed for sale in Forest Lakes as of 04/25/2019 are shown below. You can change the search criteria at any time by pressing the 'Change Search' button below. If you have any questions or you would like more information about any Forest Lakes homes for sale or other Forest Lakes real estate, please contact us and one of our knowledgeable Forest Lakes REALTORS® would be pleased to assist you. 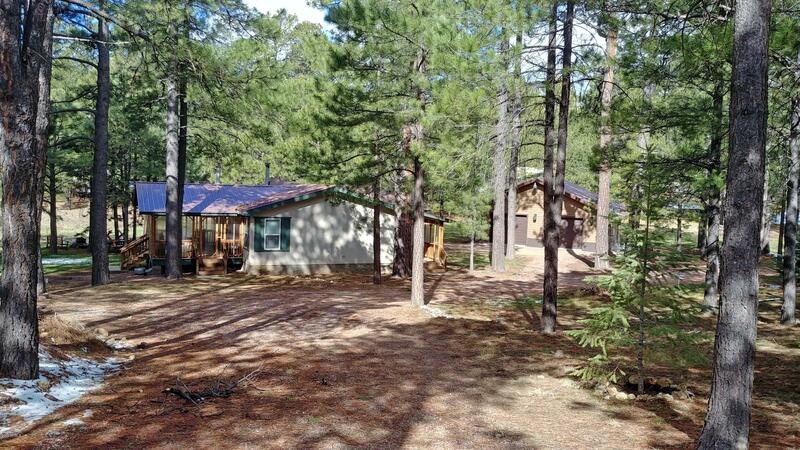 "Custom energy efficient slump block home in popular Forest Lakes sits on 1+/- acre of land that backs to National Forest. Tucked at the end of a tree lined cul-de-sac, views of the trees are unobstructed through the large dual paned windows. 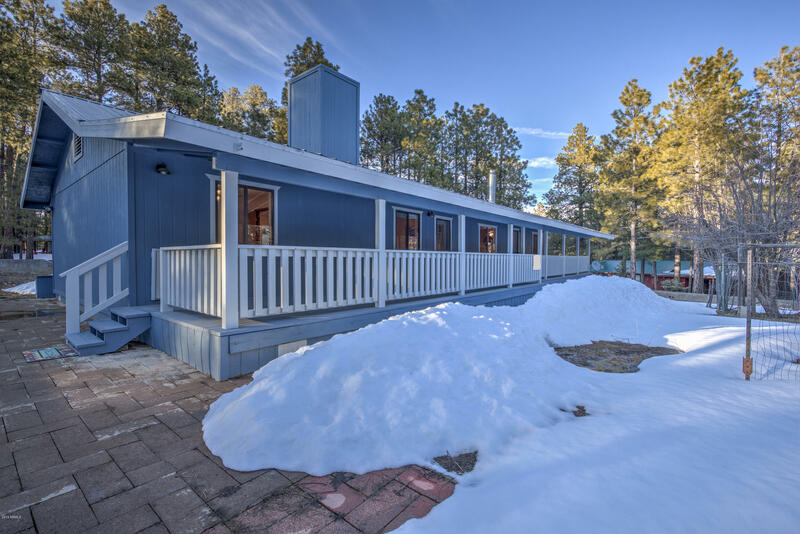 With an expansive back yard deck overlooking National Forest, there is no dust from roads and views of only forest from the backyard - you'll want to sit outside all day where deer and elk peek in on you. Home features ample sized formal living room with lar"
"Open floor plan with large covered deck with a view of the heavily treed lot. Office room off the great room, vaulted ceilings. Wall of windows featuring views of the property. Large crawl space to store your toys"
"Margarita Entertainment Room! This has it all! 3 Bedrooms / 2 Baths in 2-Story Rustic Cabin. 1 Bedroom Downstairs. Fabulous Game Room above 32 X 28 Detached Garage. Well-Maintained Summer / Winter Quarters for fullest Use. Heating Units of Various Kinds. Ceiling Fans, Metal Roof, Storage Shed, Outside RV area, Huge Deck on Back, Balcony w/French Doors in Game Room. Most Furnishings Negotiable. Bring your Check Book!" "Retreat from the heat to your own rustic cabin in the high country forest. Only 2 scenic hours drive from the Phoenix traffic and heat. On a quiet cul de sac lot. Why not spend your next summer in your own cool mountain get away. Been dreaming of real cabin in the woods? This one has plenty of room for a family with 2 bedrooms plus a sleeping loft with a walk out balcony. Nestle in front of a crackling fire in the fireplace or unwind to the sounds of nature on the deck. Forest Lakes is a very sp"
"Move-in Ready! Enjoy the best that Arizona's rim country has to offer. 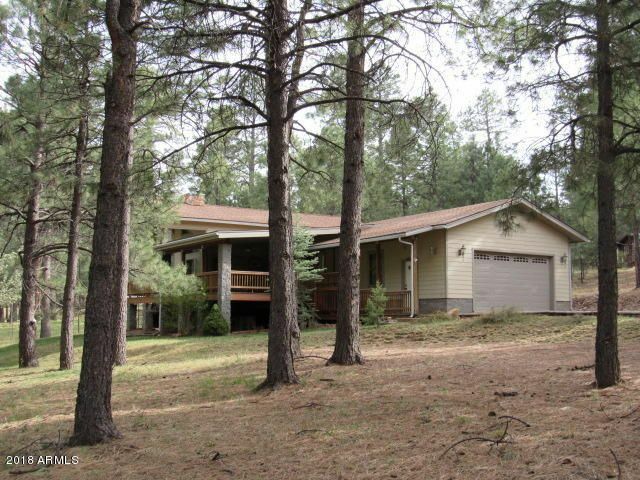 2 large porches (one with fireplace), large lot and scenic views all afford full enjoyment of all 4 seasons. Fenced in and ready for your 4-legged friends to enjoy as well. Open floor plan is great both for entertaining and for cozy times with the family. Certified ''Energy Star'' home for year-round comfort. Large garage to accommodate all your toys. Home Warranty included! 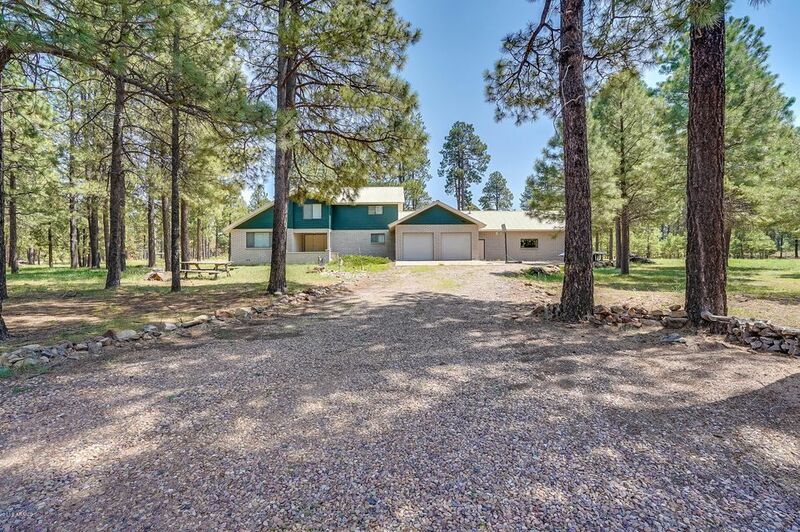 Come and see how the Forest Lakes community is ju"
"Popular Arizona destination of Forest Lakes! One of only a few available properties in this community of 900+ properties. 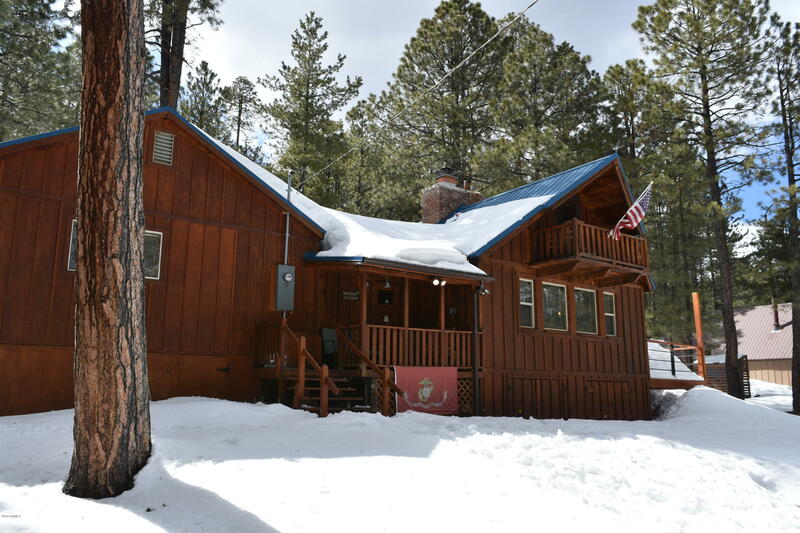 Nestled in the Apache-Sitgreaves National Forest in the White Mountains, between Payson and Heber/Overgaard, this destination offers reknown cross country skiing and snowmobiling in the winter and cool summer temperatures to hike, fish, and ATV just a short drive from Phoenix. 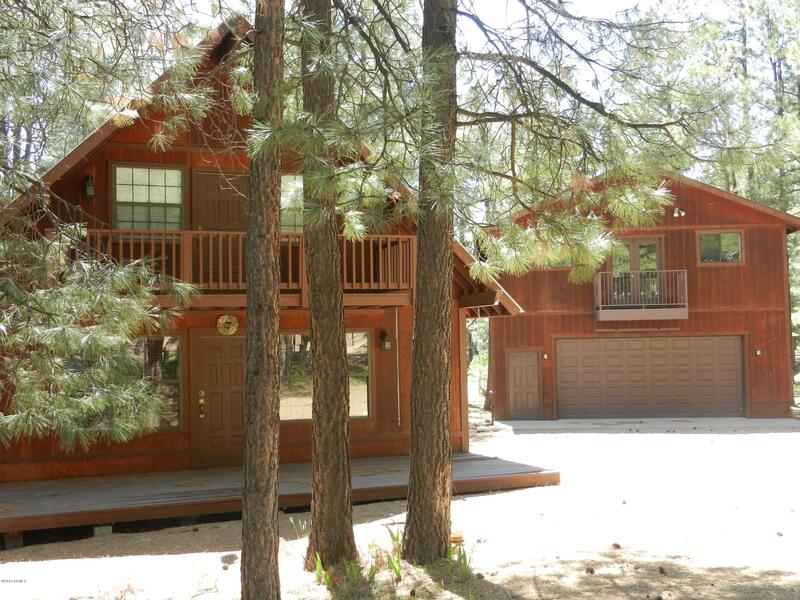 This single level cabin is situated on 1 acre of land leaving lots of room for your grownup toys! "